While that type of installation works perfectly fine in 99% of installations, if the fence is being installed for security reasons this can be a weak point. A person with a socket wrench could undo the screw and take the panel down. 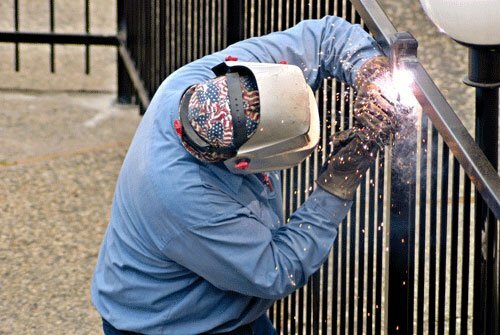 There are two ways that a little welding can make an iron fence one of the best security fences you can buy. This option is going to completely take the bracket and screw out of the equation and have you welding the fence panel rail directly to the posts. The iron railings are 1/8in thick. The posts are typically have a 14ga wall until you get into the larger driveway gate posts in the 4in and 6in sizes that are 7ga wall thickness. The great thing about this method is that you are joining the fence panel to the rail permanently. The entire system is tied together permanently. Unless someone is going to cut a hole in the fence, there is no tampering with the fence and its very secure. 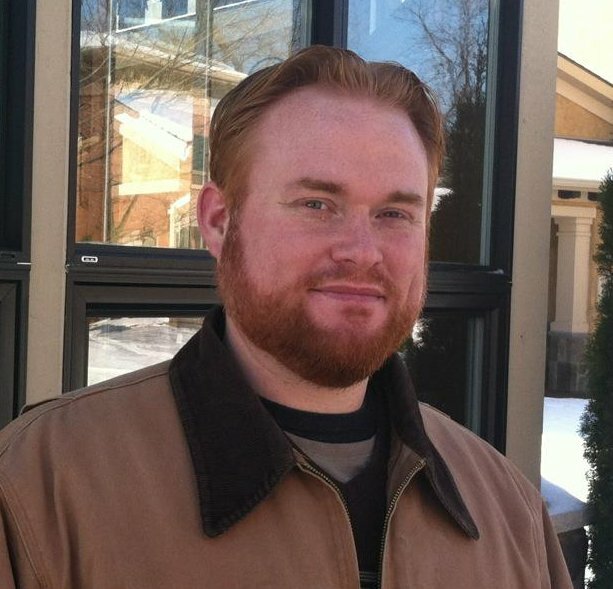 The downside to this method is that you need a skilled welder to do it (if you are not one). You also have to sand off the protective powder coating and galvanization for a clean metal-to-metal weld. So extra care needs to be taken to use a galvanizing primer and rust inhibiting paint to coat those welded areas. This option requires less welding skill and less exposed metal. 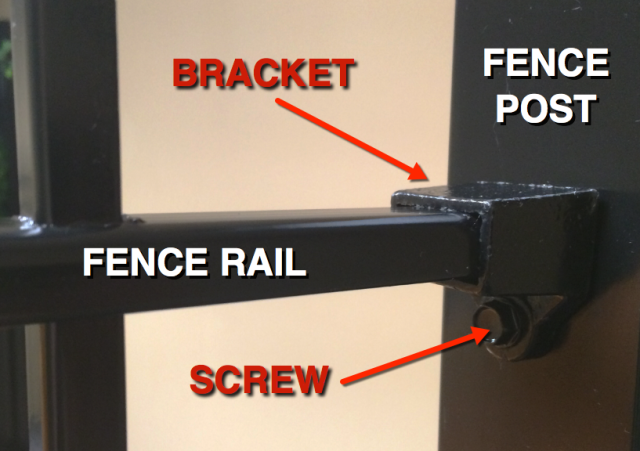 For this setup, you will still use the bracket and screw to install the fence panel to the post like the image shown earlier in the article. However, this time you will only put a simple tack weld (sometimes called a booger weld) from the screw to bracket. This will join those two pieces and prevent someone from putting a socket over the screw head and backing it out. This is a much easier way to secure the fence without professional welding knowledge. You just need a small bare metal spot on both pieces and a simple tack weld. The touch-up on the finish is much more minimal too. The downside is that its not as strong as a full welded connection and still requires a welder (or basic welding knowledge). Hopefully that helps out if you are looking for a security fence. If you have any questions on how to handle gates as well, feel free to give us a call at 800-261-2729 or shoot us an email to [email protected] Gates are a little different and the security application can be different based on the hardware used and how its being installed.